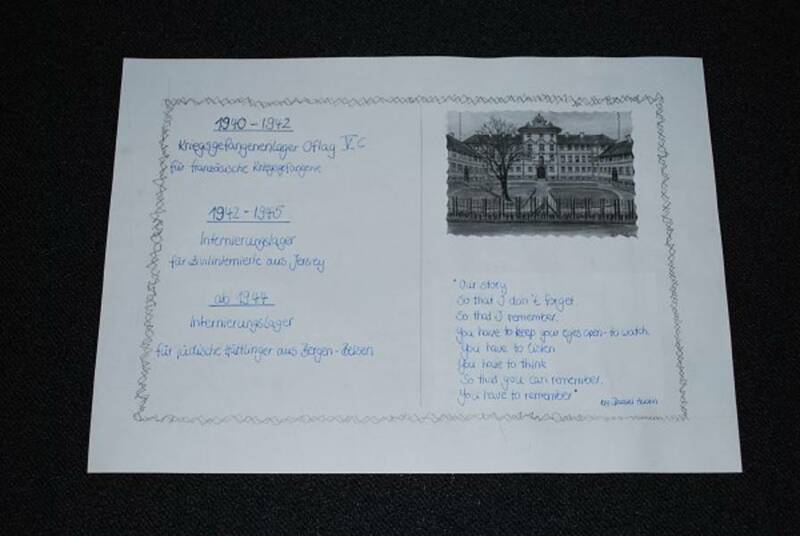 The postcard symbolizes the postcards exchanged between the internees and their families. The barbed wire fence around the card represents the prisoners’ situation. The text names the three groups of people who were detained in the castle during the war and the dates of their stay.